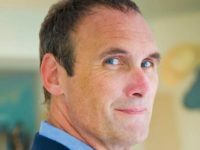 Africa Correspondent for The Times, Jerome Starkey, has been detained at Nairobi airport, Kenya. Starkey was arrested on Thursday evening and held overnight, according to tweets he sent from his personal Twitter account. 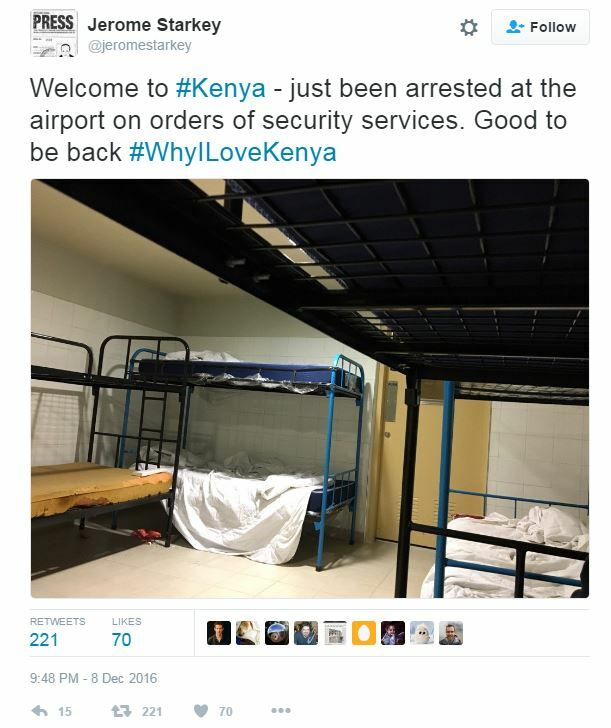 He tweeted: “Welcome to #Kenya – just been arrested at the airport on orders of security services. Good to be back #WhyILoveKenya,” along with a photo of bunk beds in an apparent prison cell. According to Kenyan newspaper Daily Nation, Starkey was held without explanation or charge. The newspaper reported that officers told the journalist a “security block” had been placed on his passport, but were unable to provide any further information. 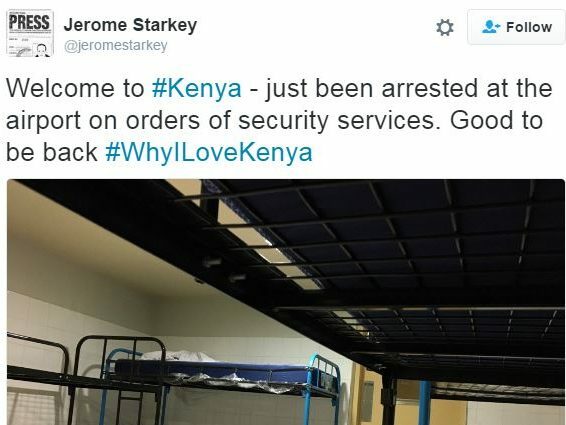 On Friday morning Starkey tweeted: “Still in custody at JKIA. Just been papped by an officer from the (British trained) anti-terror unit ATPU. Impeccably polite. #WhyILoveKenya”. Later the same day he tweeted: “A lawyer who came to see me was just denied access to the airport by officials who said immigration hadn’t detained anyone. #WhyIloveKenya”. He added in the afternoon: “Phones being confiscated”. Daily Nation reported that Starkey was questioned by immigration, detectives and anti-terrorism police but by Friday afternoon, after more than 15 hours in custody, he had still not been charged. The Times declined to comment “at this stage”. Practically lost for words. 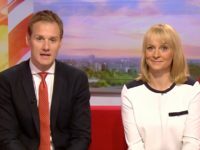 Kuenssburg is the most shallow and biased political editor ever seen at the BBC. All the award means is that her great project, the destruction of Jeremy Corbyn, is widely shared by her peers, including apparently your interviewer. Interviews don’t generally need to quote other people but sometimes it’s useful to get a rounded picture of the subject. Your interviewer uses one, just one: Chuku Ummuna, the ringleader of Get Corbyn. Unbelievable!